The only thing in football more contentious than a dubious refereeing decision is a rankings system. There are plenty of them out there – though many are deliberately divisive – but, given the tribal nature of football, they do drum up some interesting debates among supporters. We’re going to add our twist to the list. Each week we pick out the 10 best teams from Europe’s top-five leagues (minus cup competitions). It’s not cumulative, the rankings are based on a team’s performance in that particular game week. So, who makes the top-10 this week? Check out below. Maurizio Sarri ignored Pep Guardiola’s handshake at full-time and it was likely because he went into the dressing room to shake a few of his players instead. Chelsea’s result was so bad Arsenal actually moved up into fifth place despite an inferior goal difference of six after their win on Saturday. City were utterly imperious and Chelsea just ridiculous. Guardiola’s signature use of wide wingers stretched them out and the home side attacked the space in between full-back and centre-back at will. 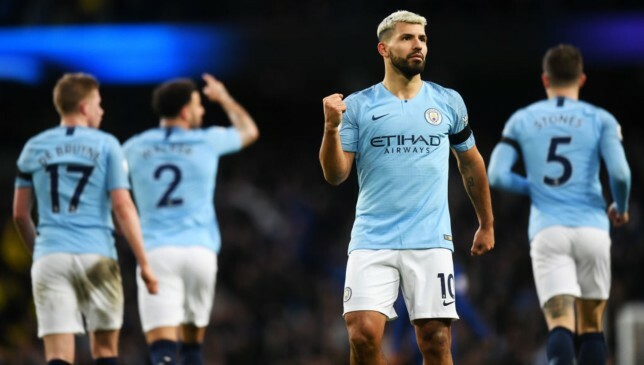 Sergio Aguero prospered to equal Alan Shearer’s Premier League record of 11 hat-tricks and ‘Sarriball’ was left in a sorry state. 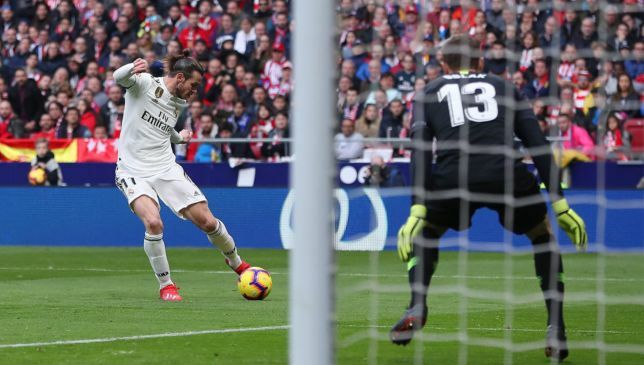 Gareth Bale scores his 100th Los Blancos goal against Atletico Madrid. A defining week is turning into Santiago Solari’s finest hour. A very credible 1-1 draw at the Camp Nou in the Copa del Rey semi-final opener with Barcelona was followed up by an imposing 3-1 win at city rivals Atletico. Vinicius Junior was again deeply impressive and Gareth Bale even rose from the bench to plunder his 100th goal for the club. Los Blancos leapfrogged Atletico into second and are now just six points off leaders Barca. Are they back in the title race? Another display of aggression and vivacity going forward suggests they might well be, as does five straight La Liga wins. On their game – and against defensively fragile outfits – Bayer are one of the prettiest teams to watch. Peter Bosz has unfinished business in the Bundesliga after his tragic spell in charge of Borussia Dortmund and that motivation may well pay dividends for Leverkusen. They are pushing hard for the top-four and their cause was certainly helped by a 5-1 demolition of Mainz. Julian Brandt was brilliant, scoring twice and laying on two more goals. The 22-year-old has been moved centrally and his partnership with Kai Havertz is proving to be super slick. Bosz is harnessing the talent of his gifted young attacking players and the former Ajax boss will be happy to see improved defensive displays as well. Sans PSG, the Ligue 1 table possesses a unique shapeshifting trait. Just four points separate fourth from 11th with a conveyor belt of teams occupying the European slots. Nice are in line after they beat a wasteful Lyon 1-0, the same Lyon side which beat PSG previously and are chasing second place. Remi Walter’s 69th-minute penalty secured a third straight win at home for Nice and they are now one of four teams sitting on 37 points. Ishak Belfodil equalises for Hoffenheim. There’s a trend emerging across Europe – the leaders are being hunted. Indeed, Liverpool, Barcelona and Dortmund all enjoyed sizable advantages at one stage this season and are now in danger of being caught. There’s mitigating circumstances where Lucien Favre is concerned because his defence has been ripped apart by injury – Julian Weigl has been forced to play at centre-back. However, BVB spectacularly capitulated on Saturday, surrendering a 3-0 lead to draw with Hoffenheim. Jadon Sancho dazzled with a goal and two assists. The teenager could have netted another but for the post yet he won’t have envisaged that being an issue until Ishak Belfodil’s inspired comeback. 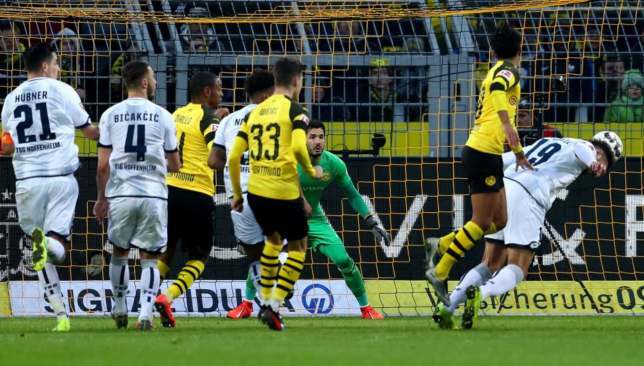 The Algerian started and finished the revival to help erode Dortmund’s Bundesliga lead. Marc-Andre the Giant. Barca were on the ropes against Athletic but their giant German stopper ensured they weren’t pinned into submission. Bilbao have been vastly improved under the stewardship of Gaizka Garitano and a vibrant display from the home team suggests they could possibly propel themselves into the top four. They created the best openings at San Mames, even though Barca typically controlled possession. In fact, Garitano was disappointed with the result which confirms his ambitions for the rest of the season. Over the last few weeks, Frosinone have entered this list three times. Once because they were hammered 5-0 by Atalanta and now a second time for the merit of a shock victory. After battering Bologna 4-0 away from home last month, a narrow 1-0 defeat to Lazio clearly hasn’t tempered their hopes of survival. A slender victory of their own has them just two points shy of safety and Marco Baroni has worked wonders since taking over in December. A Sampdoria team led by revitilised Fabio Quagliarella fell to a 1-0 win at home after Daniel Ciofani smartly converted a powerful cross in the 25th minute. It’s Juventus next for Frosinone, can we expect them back here next week? Remember what was said about the Ligue 1 table? Well, Rennes have played their part in the chaos after swatting aside Saint-Etienne 3-0. M’baye Niang’s headed corner, a Hatem Ben Arfa penalty and Adrien Hunou’s late tap-in sealed the points for Julien Stephan’s men, although the complexion of this result cold have been decidedly different were it not for Neven Subotic’s shocking missed sitter in the first half. 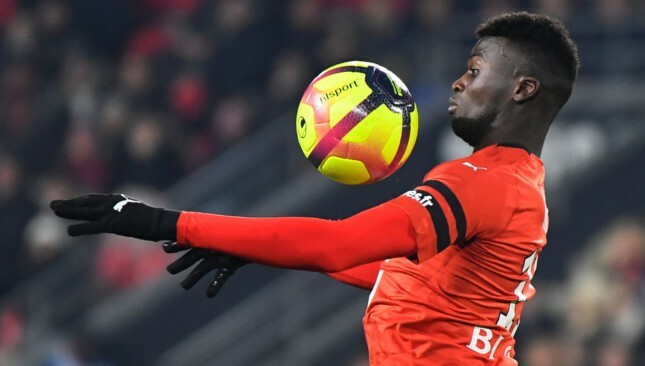 Rennes are now unbeaten in nine home games in all competitions since Stephan’s appointment, winning eight (including a penalty shootout) and drawing one. Good luck predicting how the top 10 will finish in Ligue 1. Bayern are behind you. Dortmund’s lead is just five points now after the Bavarian giants ran over Schalke. They dominated this fixture and perhaps deserved a wider margin of victory with some superb football on display in the first half. No surprise to see Robert Lewandowski on the scoresheet and the Poland international became the first to score 100 goals at the Allianz Arena. The award for grimmest way to throw three points away goes to Monaco. Yes, a point for Leonardo Jardim’s maligned Monaco at Montpellier given the circumstances of their current struggles looks a good result. But then it should have been three after Gelson Martins and Radamel Falcao’s efforts were to be cancelled out after Kamel Glik gave away a penalty in the final few minutes with a reckless high foot. Danijel Subasic was left furious when the resulting penalty from Andy Delort painfully squirmed just under his arms and marginally over the line as they were forced to share the spoils. 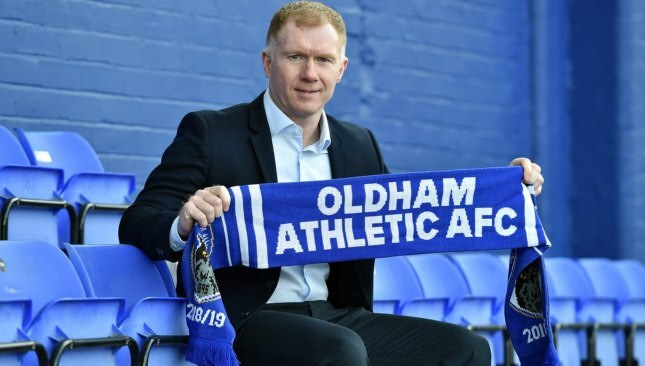 Scholes was in charge of Oldham for 31 days. (pic courtesy of Oldham Athletic AFC Twitter). “Whether he will be watching the games I am not too sure. That is part of the thing that bugged me a little bit. I wanted to get into it (management) anyway but I have left myself wide open. I have been quite critical. “I don’t think we will get many pundits watching – (although) if we are losing games I am sure people will be popping up – (but they) can say what they want. 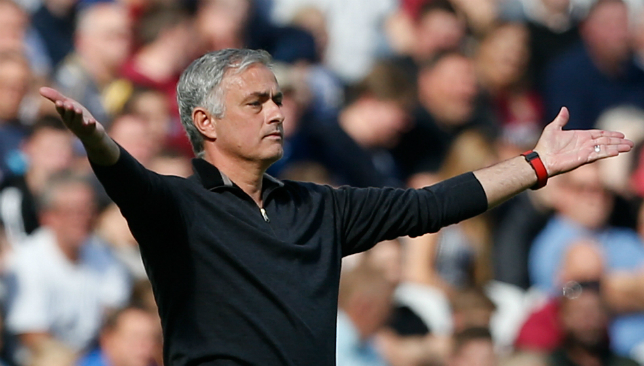 Scholes was critical of Jose Mourinho while Man United boss and expects the Portuguese to be keeping an eye on his foray into management. “He’ll want me to do well and if I need any help from him, I’ll be ringing him, of course I will. I’ve got great experience with Gary (Neville) too, what he did in Valencia, Ryan (Giggs) with Wales and under Louis Van Gaal (at United). There have been reports of interference in team affairs from club owner Abdallah Lemsagam and his brother Mohamed, who is the club’s sporting director. However, Scholes insists he will not stand for that. “He won’t be picking the team – myself and the coaching staff will be picking the team, so I think we are quite clear on that. I wouldn’t be here if I wasn’t confident on that. Vinicius Junior moved from Flamengo to Real Madrid last summer. Following a fire at their training ground which left 10 people dead and three more injured on Friday, Flamengo chief executive Reinaldo Belotti said the club is working closely with authorities ‘to clarify what happened’. The blaze ripped through sleeping quarters at the Ninho do Urubu complex in western Rio de Janeiro. With questions being raised over licensing, Belotti told journalists on Saturday: “We are not talking about a ‘puxadinho’ (illegal building), we are talking about a proper training ground.